Perhaps we should change the name to Saturday Parts “and Stuff”. Here’s hoping that some of our weather heads their way soon. I would love to see a blue sky again! It’s rare that we don’t see sunshine, but it’s been a weird weather year for us and almost everyone. Snow flurries and some accumulations are in our forecast just about every day this week. UGH! 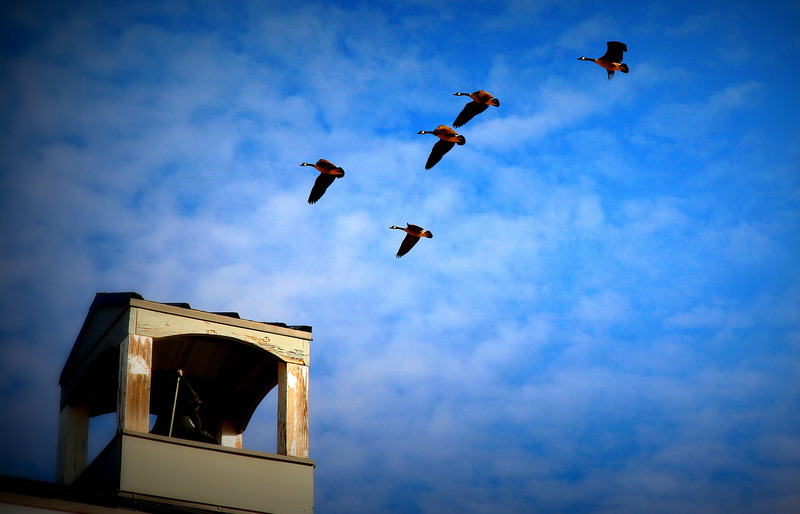 The geese over the belltower shot is amazing! Such a beautiful picture. 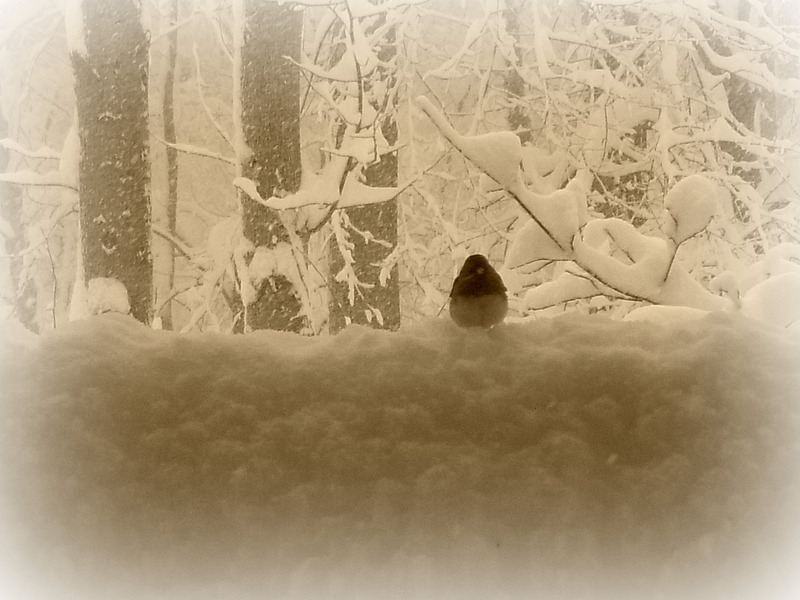 Love the antique look with the snowy background! So glad you liked the picture! Luckily we’ve only had one skunk incident here…but the smell was enough to traumatize us forever. P.U. You have a belltower over your barn? You have to tell the story about that! Gorgeous shots – both of them.